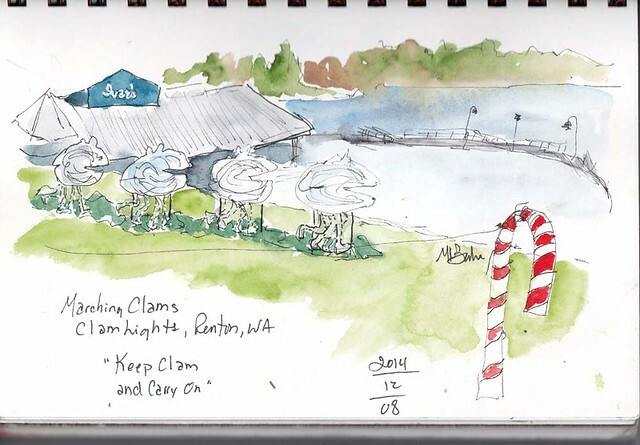 Urban Sketchers Seattle: Keep Clam! Clam Lights is a holiday tradition in Renton. It is a display of Christmas lights along a path in Coulon Park, next to Lake Washington. My favorite display is the dancing Clams, made famous by Ivar's, a local seafood restaurant. This video shows them in action! It was sunny and 58 degrees so I sat on my stool in the park to sketch the Clams during the day. It's fitting that there is an Ivar's fish & chips shop within view. They are a version of "Clem the dancing clam", who first appeared in 1985. "Keep Clam!" I got an early start to the day. I thought it would be safe to make a trip to the mall just as it opened and before it got too crazy. 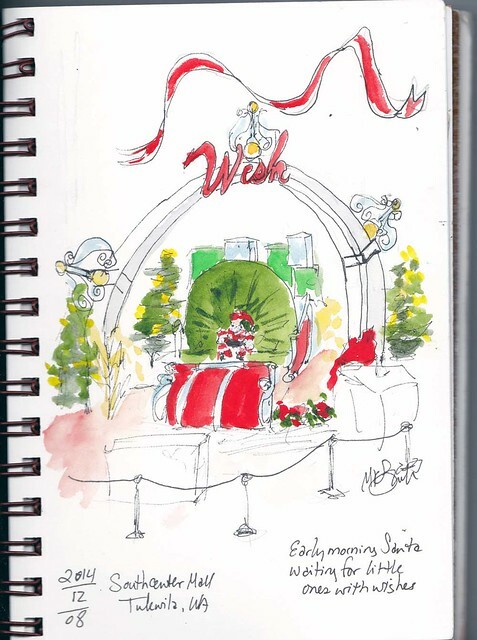 The Santa stage was facing the opposite direction from previous years, making it easy to sketch from the floor above. Santa didn't have any children visiting yet.